Year 2007 is a great year for me. This is the year where I became a lawyer and this is also the year where I got to travel a lot. This post is a recap of ten of my most favorite traveled places in 2007. For a more detailed texts/features on these places, feel free to click the link in my sidebar. 1. 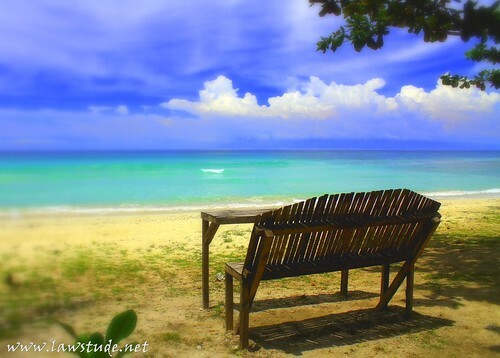 SIQUIJOR - This island has it all. Beaches (Salagdoong, San Juan), caves (Canatabon), mountains (Bandila-an), churches (San Isidro, Saint Francis), springs (Campilayan), resorts (Cocogrove) and a lot more. 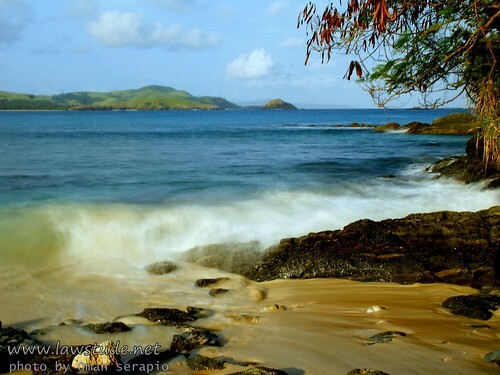 This is truly a mystical island and rightly so deserved my top choice for 2007. (Photo above taken in Salagdoong Beach). 2. SOUTH COTABATO - Lake Sebu in South Cotabato is definitely one of the most scenic places in the Philippines. It is home to three Lakes - Sebu, Lahit and Seloton and home also to Seven Falls. It is one of the best places to reflect and just let the sun go down. (Photo above taken in Estares Lake Resort, Lake Sebu). 3. 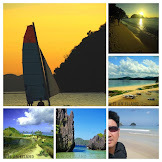 BOHOL - Panglao Island, Baclayon Church, Loboc River, Tarsiers and of course the Chocolate Hills. A weekend is truly not enough to explore and roam this wonderful, nature-gifted place. (Photo above taken in Chocolate Hills, Carmen, Bohol). 4. 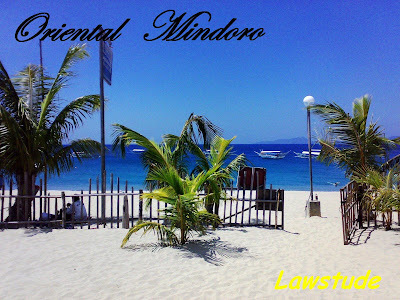 ORIENTAL MINDORO - Puerto Galera is a party beach in Oriental Mindoro. Powdery white sand, mixed crowds, prestine waters and spectacular sunset make this place really wonderful. (Photo above taken in White Beach, Puerto Galera). 5. DAVAO - This place is famous for the Philippine Eagle, Mount Apo, Waling-waling and Durian. 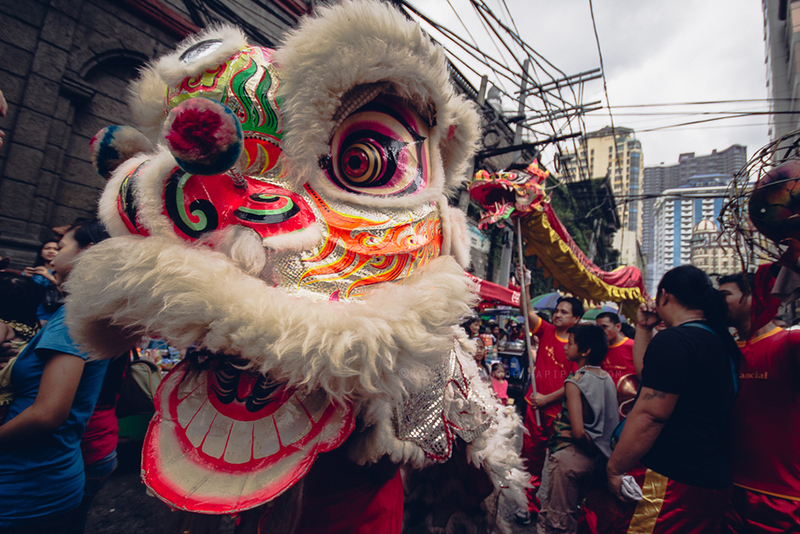 You need at least a week to explore this largest city of the Philippines. (Photo above taken in Eden Nature Park, Davao City). 6. CEBU - I have been to Mandaue City, Lapu-lapu City and Cebu City and have visited Taoist Temple, Heritage of Cebu, Fort San Pedro, Magellan's Cross and Basilica Del Santo Nino among others. (Photo above taken in Plantation Bay, Mactan Island). 7. 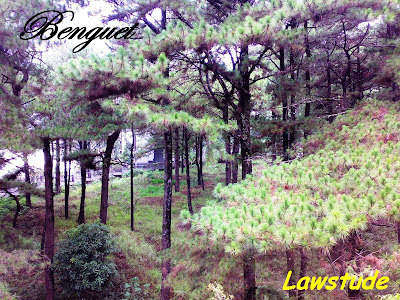 BENGUET - Baguio is the summer capital of the Philippines and my most visited place in 2007 because of work. The cool breeze of this City is like no other and tourists spots like Burnham Park, Mines View, Wright Park and others will captivate you. Of course their Panagbenga Flower Festival is forthcoming so see you all there. (Photo above taken somewhere in Kisad Road, Baguio City). 8. 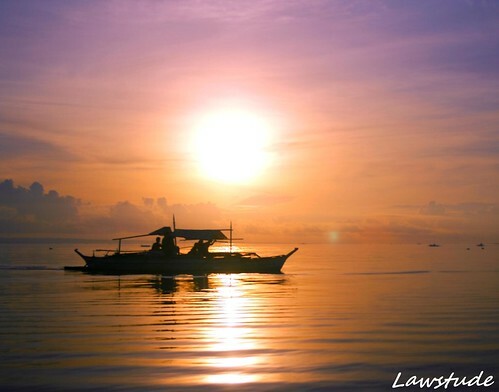 NEGROS ORIENTAL - Dumaguete City and Bais City is the place to be in Negros Oriental. Dumaguete City is known as the City of Gentle People and famous for Silliman University, Rizal Boulevard and Dumaguete Cathedral and Belfry. Bais City on the other hand is famous for whale and dolphin-watching. 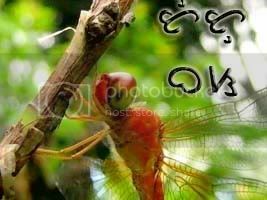 (Photo above taken in Sand Bar, Bais City). 9. 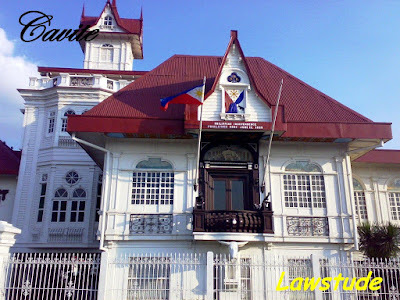 CAVITE - This place is famous for its rich history. Resorts and waterparks also abound. Ang of course, Tagaytay is just a few minutes drive. (Photo above taken in Kawit, Cavite). 10. PAMPANGA - Because of it's proximity to where I live, Pampanga made it to my list. Old churches, duty-free shopping, Mount Arayat and the new Nayong Pilipino make this a worthy place to visit. 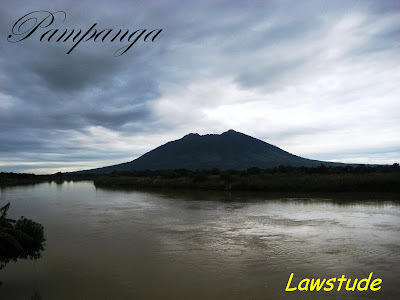 (Photo above taken Arayat, Pampanga). 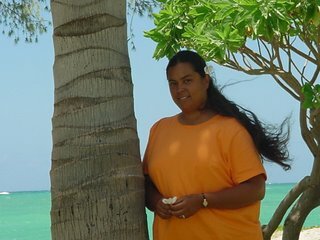 So, these are my top 10 travels of 2007 and I am elated to share them with you. Again, HAPPY NEW YEAR to everyone and may 2008 bring us more blessings, more friends and safe journeys. Well done! What a great reflection of 2007! Wow... you have been to some beautiful places! The Philippines Islands are maganda!! Great pictures! More travels for 2008 and more pictures too! Happy New Year! Hmmm. Nice Travel posts. I like this blog. Keep up the good work. Thanks for blog-hopping over to my blog for a visit. I must say I'm a bit jealous--you got to some very beautiful spots in 2007. Happy New Year! @ alex - thank you. happy new year too. @ rochelle - very maganda talaga ang Pilipinas and i am lucky and blessed to have traveled them. @ sayote queen - yeah, more travel pa sana. for 2008 there are at least five more place that i am eager to go. @ aryo - wow panyero pressure. (sana wag to mabasa ni *****). let us just see panyero, abangan. @ the usual suspect - thank you! i'll try my best to sustain this blog even if i will venture in my new profession this year. @ barrie - happy new year too. there is really so many beautiful places in the Philippines. so many places... so little time. wow, i envy your adventures. happy new year and wishing you more adventures! Great travels there Oman. Hanep sa Top 10! Makes me more excited what you have in store for us on 2008. Happy new year! wow!!! 2007 is really a great year for you. lawyer, travel... what else can you ask for. I feel that in the coming days, you will now go travel internationally. good luck and more blessings! 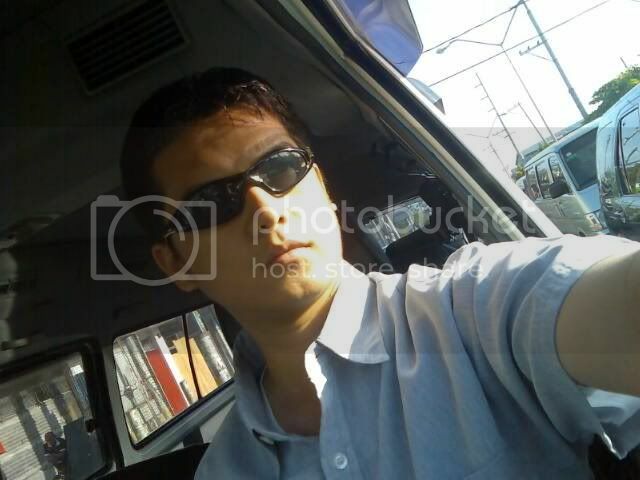 your photos are very encouraging... Filipino pride! Happy new Year! Great photos. Napakaganda talaga ng Pilipinas. Swerte ka at nakabiyahe ka ng ganyan kadalas. Cheers! para sa isa pang taon ng biyaheng kung tawagin ay buhay. @ acey - thanx for dropping by. i'm sure you'll have your time to travel too in the near future. @ ferdz - thanx. your posts inspire me. i'll try my best to sustain my travels eventhough i will be venturing in new fields now. how bout courtroom shots? human drama at its worst (este best pala). kaya lang di yata allowed yun. @ towr - internationally? how i wish kaya lang there are still so many beautiful places in the Philippines to explore. thanx for dropping by and happy new year too. @ jon - i couldn't agree more. ang ganda ng Pilipinas. happy new year to you and your loved one. such a cute couple. @ abad - i like the last sentence "Cheers! para sa isa pang taon ng biyaheng kung tawagin ay buhay.". The 2007 Journey has ended, let us see what 200 has in store for us. Beautiful country you have and very good travel too. Ganda naman. Buti ka pa super libot. Sama ko. Waaaaaaaaaah!!! You make me wanna go to Philippines again, right now! Boo! I'd love to visit Bohol and Oriental Mindoro ... Pero, basically, if I can I'd like to tour the whole island. Possible, noh? @ battawi - thanx for the visit and the Philippines really is a great country to explore. @ anonymous - wag ka iyak. just pack ur bags and go. lolz. @ kyels - those places are great. its my dream really to travel at least 50% of our country. more than 7 thousand islands kasi, ang dami. but yes, its possible. Where's the next destination this 2008? @ bw - i agree, and these are usually the most famous ones. there are places less famous but nevertheless amazing left for all of us to explore. @ philippine dragon - just got lucky, i promised to treat myself if ever i pass the bar. i never thought that there are few others who offered to treat me too. "just striking the iron while its hot" kind of thing. i just hope i can sustain this. @ rhodora - hello there. well id like to go back and visit more of pangasinan and go to hundred islands. then i have booked myself to batanes in march and another rounds of works/jobs in baguio so basically, yun muna. @ barb michelin - nice ad. bot? Wow pare nice trip. Parang naeenganyo na tuloy ako mag travel din. Ganda pala blog mo. Really amazing. You really have a beautiful country. No wonder why some of my coleagues here are frequent visitors of your country. I'd really love to go over there someday. Happy New Year. 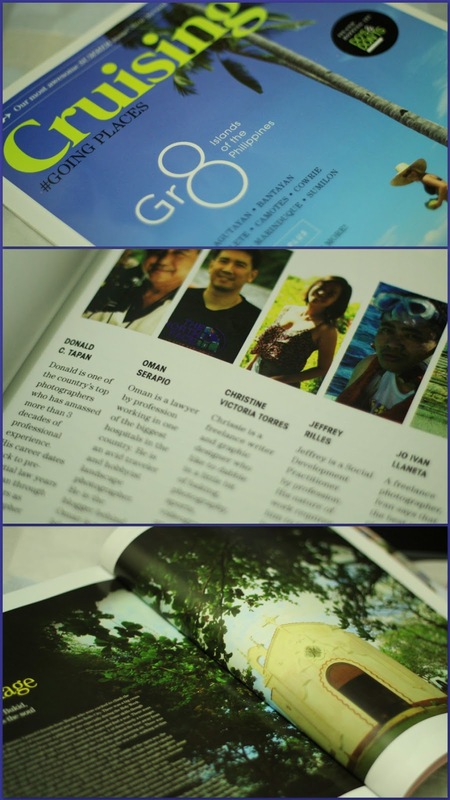 What a traveler!I wish I have been to those places you've been to.The Siquijor pic is the best! Hello again pare. Can you share the expenses of your trips? Request ko na to dati sorry if makulit kasi I just want to know if I can budget those trips in my expenses. Do you travel alone or may kasama ka? And lastly pano ba makokontak mga tao na pinupuntahan mo? Thanks a lot Norman. @ Daniel - yeah pare, puro ka kasi trabaho, yayaman ka agad nyan. travel na. @ elizabeth - happy new year too and thanx for the visit. y not come here sooner? @ anino - thanx anino. di lang pic maganda sa siquijor, the whole island is terrific. kaya number 1 ko sya in 2007. @ gene - thnx for the visit, i'll try to answer your queries here and in some fufute posts. Di kailangan mahal. Look for airfare promos and book early. Sa hotel naman, I always say na di ka naman nagpunta sa place for the hotels so basta malinis at may hot shower pwede na. Basta research, research, research. 2. Do I travel alone? - no. always with at least one company. 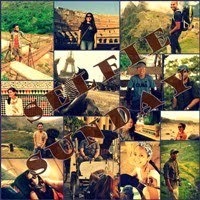 pero parang gusto ko rin i-try "lonely planet style" minsan. 3. Yung sa contact. Usually dito sa internet lalo na sa blogs. Then, meron ako friend sa travel agency here in our City na lagi ko tinatanong. Happy traveling and more travels to come in 2008!!! @ kegler747 - camuguin is on my wish list. hope to go there this year. Wow. You have been around. 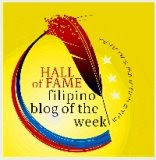 Your blog is one of my favorites so far. Keep it up. I have to agree with your top choices. I have heard a lot about Siquijor and Lake Sebu also. Hope you can go to Palawan and Camiguin too. Nakakainggit ka naman.Siguro ay talagang maganda ang Siquijor dahil sa nakakatakot na imahe nito, kakaunting turista ang nagpupunta.Hindi pa nabababoy ng mga iresponsableng manlalakbay.